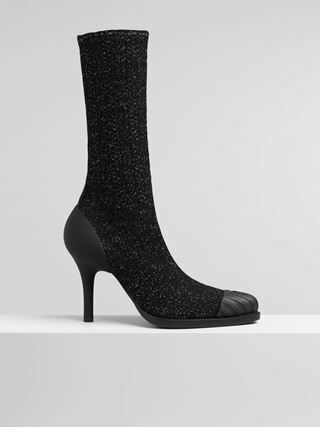 Ribbed technical knit brings a rich and authentic allure to the Rylee sock ankle boot, combining a soft and feminine upper with a boyish black rubber sole. 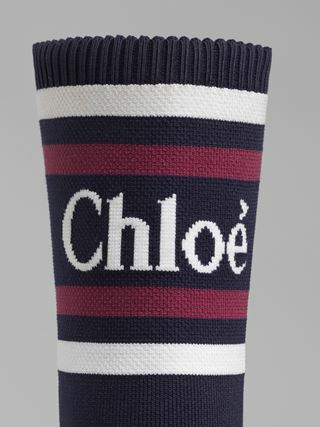 Running along the back, the tonal nylon strap with the Chloé logo lends a cool and sporty twist. Water repellent treatment ensures durability, while the padded insole and chunky western heel provide all-day-long comfort.